The origins of this post goes to our trip in Egypt. Ever since we spent time there, we have been suckers for middle eastern / Mediterranean cuisine. It has the spices and flavours similar to Indian cuisine, yet a certain subtlety which is so addictive. 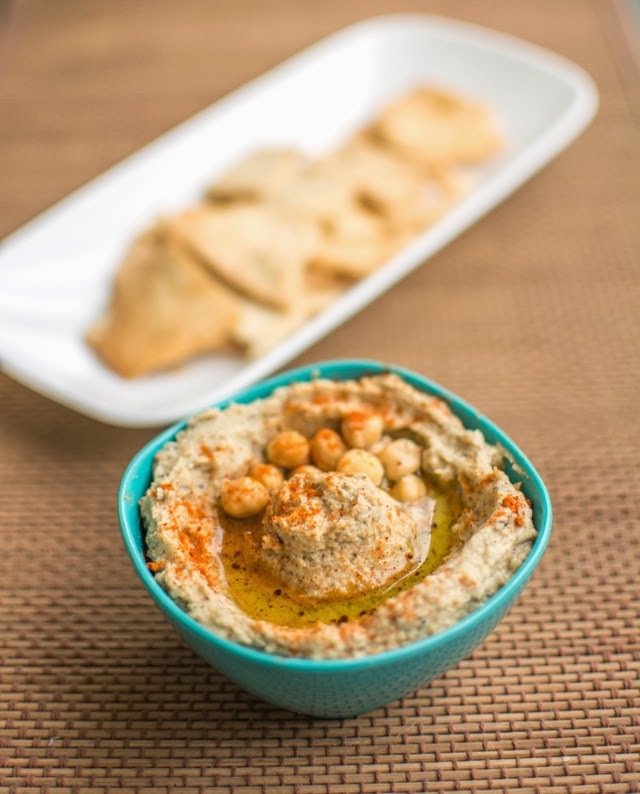 Hummus probably is the most famous dip / sauce from that part of the world and transcends boundaries. Several version of this chickpea delight exist and each as wonderful as the other. 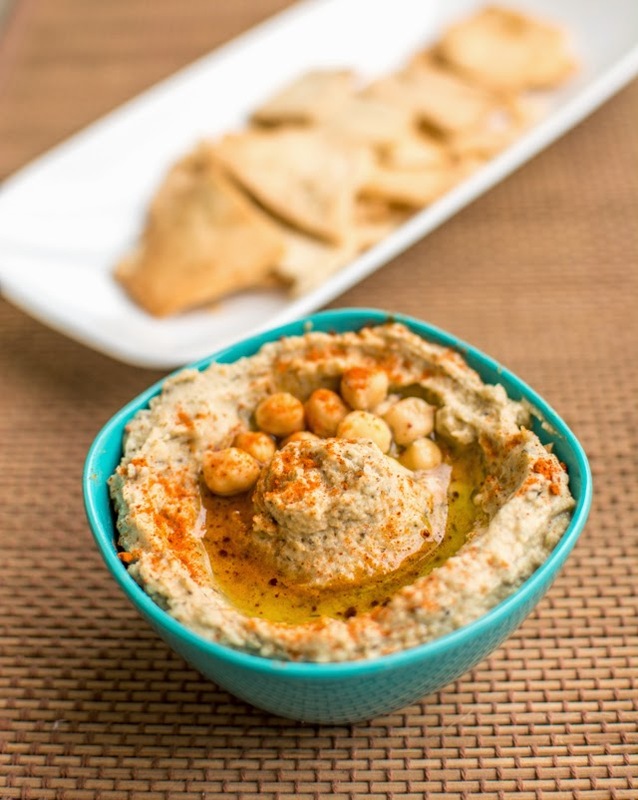 Served with warm pita bread or pita chips, it is a great party snack! We enhanced the basic flavour by using rosemary and it went very well. Do try! 1. Lightly roast sesame seeds. They should not turn brown. 2. Grind toasted seeds with olive oil untill it forms a smooth paste. 1. Boil chick peas after adding baking soda and no salt till they become soft and skin separates. Save the cooking water to improve the consistency of hummus. 2. Remove the peel before adding the chickpeas to the grinder. 3. Add remaining ingredients and grind untill it forms a smooth paste. Use cooking water (water used to cook the chickpeas) to achieve desired consistency. 4. Basic hummus is ready. You may add any flavour as per your taste. We decided to make rosemary hummus expecting that the flavours would go well together. And they did! 5. Mix dry and ground rosemary and chilli flakes. Keep it in fridge for 3 -4 hours and pour some olive oil and garnish with paprika before serving. Note - Hummus has a tendency to thicken. You may save chickpeas liquid to add later for desired consistency.